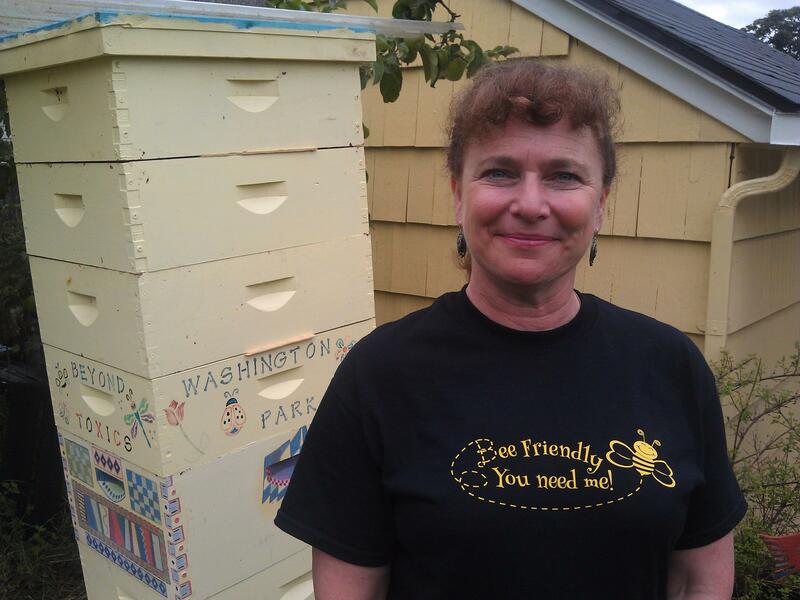 Lisa Arkin of Beyond Toxics with her backyard beehive in Eugene. Arkin: "Consumers are completely unaware that the flowers they're purchasing to create a bee-friendly garden might actually be poisoning the bees." Arkin suggests purchasing organic plants and asking retailers if the plants are free of pesticides. The report sampled plants from Lowes, Home Depot and Walmart in the U.S. and Canada. A spokeswoman for Home Depot says the store is actively seeking alternative insecticides for protecting bees. Last week, a company sprayed Linden trees in Eugene with a neonicotinoids-- killing hundreds of bees. 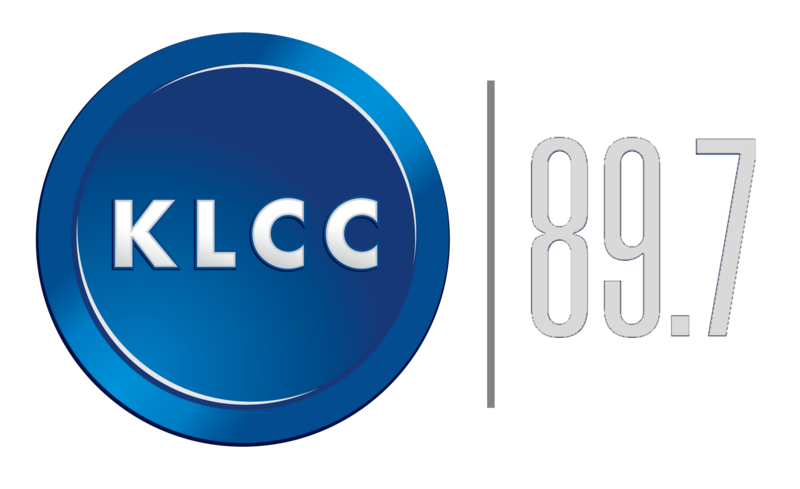 The Oregon Agriculture Department penalized the company. 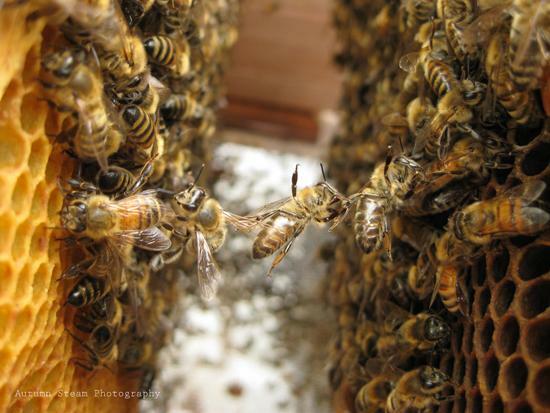 The Oregon Department of Agriculture has suspended the license of the company responsible for more than 1,000 bee deaths earlier this week in Eugene. Glass Tree Care and Spray Service applied pesticides at an apartment complex in North Eugene on 17 linden trees, the same types of trees involved in thousands of bee deaths last year in Oregon. Bruce Pokarney is the Communication Director for the ODA. He says before the company can resume applying pesticides they must adhere to certain conditions. 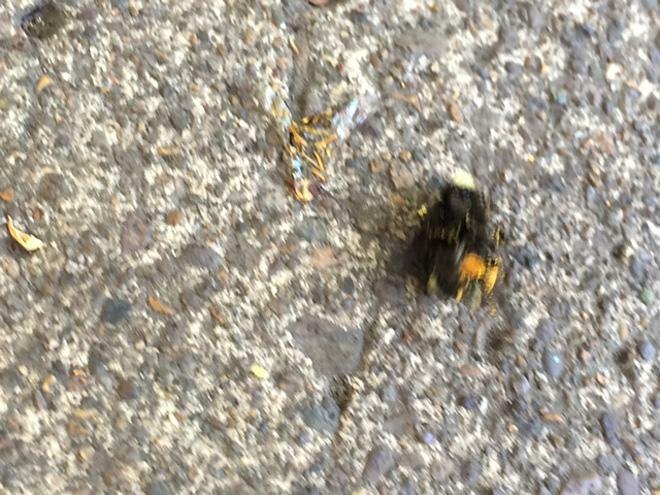 Several hundred honey bees and bumblebees died at a Eugene apartment complex Tuesday after trees on the property were sprayed with pesticides. The state is investigating. 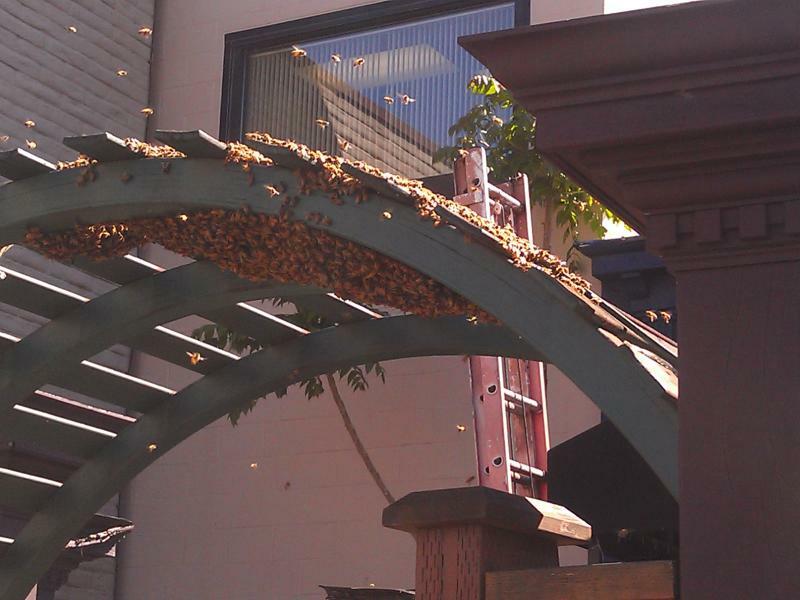 Honeybees swarmed Wednesday morning behind the KLCC studios in downtown Eugene. They may have come from wild hives on the roof of the nearby Rogue Brewery. 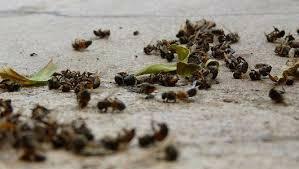 When bees swarm, there's a list of people who can come and take them away. Brent Hefley is on the Lane County Bee Keepers Association Swarm list. He got a call from the Rogue and came out to the parking lot behind KLCC. He brought a wooden box.